"I will signal for them and gather them in. Surely I will redeem them; they will be as numerous as before. Though I scatter them among the peoples, yet in distant lands they will remember me. They and their children will survive, and they will return." 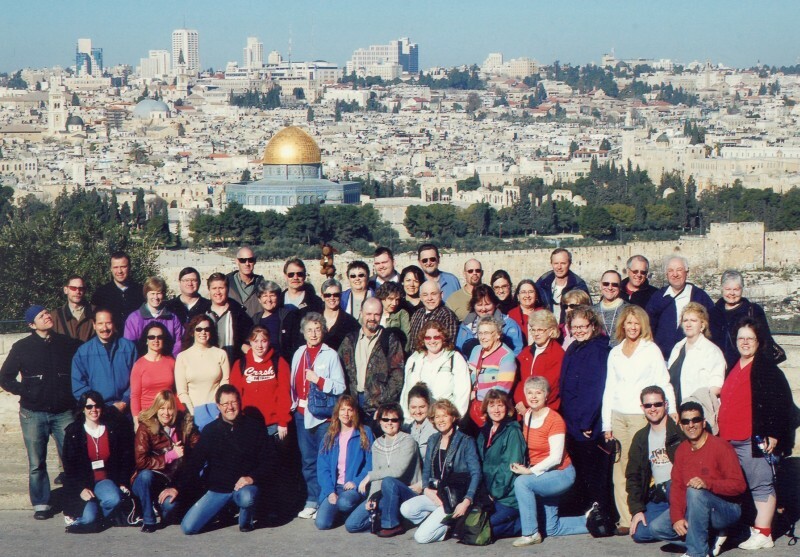 To celebrate our 20th wedding anniversary (actually March 8th), we joined a Bible tour of the land of Israel during February of 2006, and stayed a couple more days on our own. It was truly awesome to be in the land where so many prophesies have been fulfilled, including the simple reality that the nation of Israel exists at all - Zechariah prophesied that after the people would be scattered throughout the world (which was true for over 1800 years), God would gather them back to their homeland. Israel became a nation again in 1948, and the people are still being gathered, as Jewish immigrants come on a daily basis. No other nation has maintained their identity that long while scattered so wide. God truly keeps His promises! Israel is a beautiful country, and seeing both places of historical events and the state of the nation today was inspiring and educational. Journey along with us through these images, and if you have any questions, don't hesitate to ask. * Unless otherwise indicated, we took all the photos in the Photos section. If you would like a higher resolution copy of specific ones, contact us. 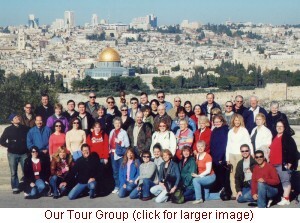 A few that were downloaded from the Internet are indicated by "(INT)", and a few taken by our tour guide, Ronnie Simon, are indicated by "(RS)". * All video footage was taken by Karen. Karen's "Trip Report": images from a Powerpoint presentation including maps to show where we visited, Bible verses that relate to some of the sites, and other information (some of the labels are in English and Japanese, others are English only). It was designed to be presented live with a narrator, so not every slide has an explanation and the explanations are not necessarily complete, but what is there may be helpful for understanding the significance of the sites. * A few images in the "Trip Report" presentation were scanned from maps or downloaded from the Internet, but at a low enough resolution that hopefully no one will mind. If you know of a copyright issue regarding this type of usage of any of the images, please contact us and we will remove the image.